Why does some companies have great internship programs while others clearly have a lack in there? Here are some ways a start-up can ensure they have a great internship programs. If I were to tell you that we built Internshala only with interns (we are world's largest internship platform and in top 500 websites in India), you would perhaps find it difficult to believe. But Internshala is not the only example. ConfirmTkt, one of the fastest growing tech start-ups in India with about 5 million users, had only 6 interns & 2 co-founders on their initial team. The first team of Analytics Vidhya, started in 2013, consisted of 2 interns and the founder; and these interns played a critical role in making Analytics Vidhya the number 1 Data Science community in India. 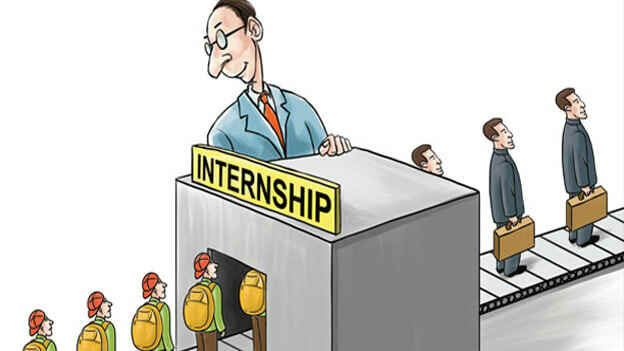 Hire the right interns: Right hiring is the key to a successful internship program. Keep your hiring process stringent to ensure only the right candidates – candidates who are motivated to learn and do, and don’t just want to get an internship certificate – get on board. Apart from testing candidate on willingness to work and skills, there are many other aspects which should be communicated and clarified. As an employer, you should always maintain transparency while talking about your company, founders, and the responsibilities that interns would be handling. While assessing a candidate, you should check for their availability and exam schedule, if they are comfortable relocating/commuting or if they have any other commitment (say preparing for a competition exam) which might take up a lot of their time. You go ahead only when you get a green signal for each of these items. Set the clear expectations and boundaries: To avoid unnecessary discussions as why you are not on time or why this was not completed within the given timeline, set the clear expectations upfront. If you expect them to come on time or finish an assignment within the timeline, clarify to your interns on day one. Also, communicate the boundaries to your interns – if you do not expect your team to torrent or spend too much time on personal calls or on social media, make it a point to tell this to your interns. For most, this would be the first time they would be working in a professional set up and hence may just not know these basic things. Set target and help them plan to achieve it: Once you set target for your interns, they have a sense of direction to work towards. And since (most probably) they would be making a plan for first time, you need to teach them to get specific with what outcome to expect from a particular action item, pre-requisites for the execution, timeline of the execution and the analysis of the outcome. Pay them good stipend: It ensures a greater accountability from both the sides. Also, when you realise how productive an intern could be, you wouldn’t hesitate to pay a good stipend, which would almost always be less expensive compared to a salary of a full time employee. Shadab Alam, heads Corporate Relations at Internshala – an internship & training platform.